Owning your first home is a dream for many. In order for the experience of buying a home to be enjoyable and the satisfying experience it was meant to be, you need to ensure that you are financially, mentally and emotionally prepared. Owning a home is about more than just being able to decorate any way you like; it's about being prepared to maintain your home for years to come, realizing that part of your income and time will go toward repairs and maintenance. You want to be on a solid financial footing. You need a realtor who knows the market, understands the local values and your desires in a home. This is something that lenders will help you look at closely. Your overall debt should not be more than 40% of your income, and your housing debt should not be more than 32%. Get pre-qualified! We have great lender resources for you to consult, such as PHH Home Loans, and we'd be happy to introduce you to more, just contact us. What do you long for in home ownership? Do you like the idea of projects around the house? Do you shudder at the thought of lawn care? Would you rather just pay a fee every month and have everything done for you? The answers to these questions can help you narrow down the search for the right property for you. Contact us today and we'll guide you through the home buying process with confidence and professionalism. You need a professional Realtor who works hard for you, it's a competitive market. The Berg Larsen Group is dedicated to helping you find the right home at the best price to fulfill your goals of homeownership. When you hire the Berg Larsen Group team of licensed Realtors to help buy your first home, you get experience and professionalism. We match homes with lifestyles...from generation to generation. Keep your objectives in mind when visiting homes for sale. Keep a list handy of the features that you need and want in a home, and judge each home by the list instead of the details that could distract you from your goal. When you are alone with your realtor, go over the pros and cons of each home. 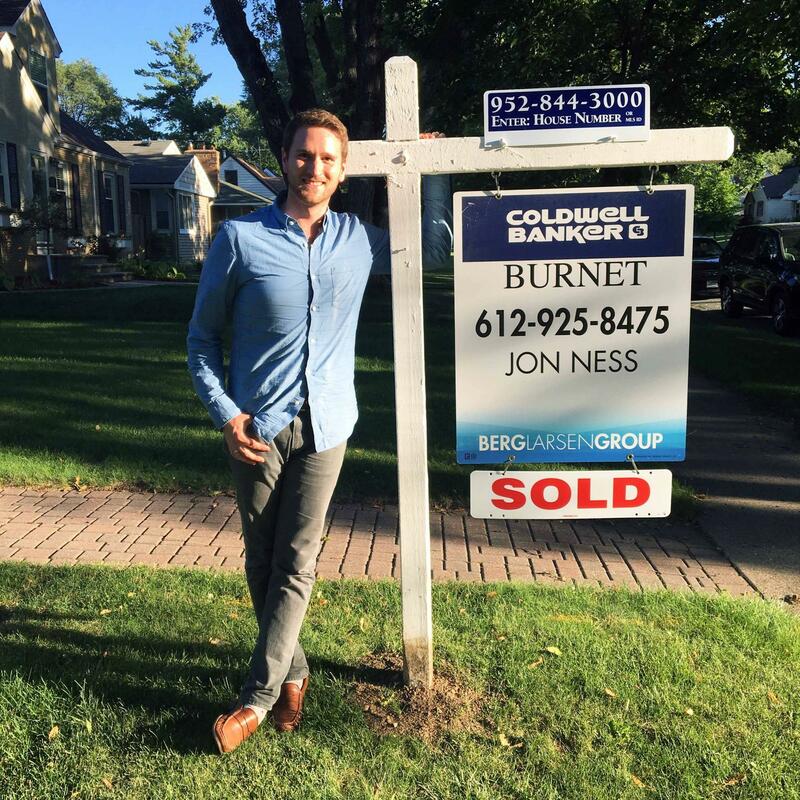 Our years of experience in homebuyer closings and Twin Cities market knowledge help you stay on track while keeping eyes on the prize. Make the offer. Our knowledgeable team will guide you through the process of submitting an offer. This is likely to include helping you obtain an updated pre-approval for a mortgage and includes writing an earnest money check to the seller's broker that proves the seriousness of your offer. Get all the necessary inspections done. A home inspector will check for signs of harmful materials like asbestos, lead paint, and mold, as well as evidence of pests, faulty wiring, leaks, and additional issues. This is a crucial part of the home purchase. The inspector is knowledgeable as to what is expected for the age of the home and what may be problematic of a larger issue. Although inspections will cost a few hundred dollars, they are more than worth it in the end. We would be happy to recommend a reputable and seasoned inspector for you, we've worked with many. Do a final walk-through before closing the transaction. We accompany you to ensure that everything agreed upon is completed prior to the final signing and closing of the sale. From the first interview that determines the requirements of your dream home to the moment you receive the keys, we will help you with the exciting, yet complex, the process of buying a home. We purposefully make the process sound easier thank it is, but we are there to guide you through the process from start to finish and with success. Real estate is our specialty, we do it day-in and day-out. Do not hesitate to contact us to "pick our brains" and to find out more about how we can make the home buying process easier!